Paul Graham once famously said, “ A start-up is a company that is designed to grow fast.” This was in 2002. Since then, traditional marketing has got a makeover, and more and more startups are looking at growth hackers to run the bigger show. But here’s the thing about Growth Hackers. Growth Hackers are the new age unicorns. We need them; we value them, yet they are rare. A spike in growth hacking job opportunities proves the point that we are trying to make here. In our opinion, it is still an arguable question, which often invites mixed reviews and responses. While hiring one, most start-ups look for that one member who can bring the best in terms of marketing and engineering on the table. All this in the hope of fastidious growth. What are the skill sets that one needs to possess, to be able to christen himself/herself one remains debatable. Before we move any further we decided to see how the yodas of growth hacking describe a growth hacker. Thankfully these definitions aren’t close to anything like this tweet below! Since these statements weren’t enough, we also deep-dived into a pile of noteworthy publications, discussions and compilations that elaborate this concept further. 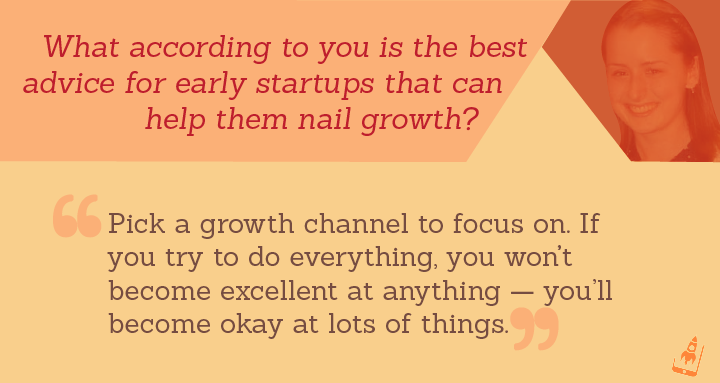 Neil Patel’s and Bronson Taylor’s- The Definitive Guide to Growth Hacking. This book is divided into 10 chapters and explores the concept of growth hacking at a micro level. It is a must-read for entrepreneurs, growth leads and anyone who is aiming a career or as a growth hacker. How to hire a Growth Hacker– Aaron Ginn’s thoughts on the subject. An enlightening piece by Andrew Chen aptly named- Growth Hacker is the new VP Marketing. Last but not the least, Gagan Biyani’s take on the difference between growth hacking and marketing. Of course, there’s more to this concept, and therefore, we highly recommend the list compiled by Zach Bulygo of Kissmetrics. Once you’ve invested yourself in the content mentioned above, you would realize that there’s more to the profile than a degree. It is the attitude and the mindset that maketh a growth hacker! Getting the right person onboard thus remains a challenge. To get our answers and to put a rest to this itch, we decided to speak with a fellow growth hacker. Ina Herlihy is the growth hacker at Zumper and an ex-TradeCrafter. 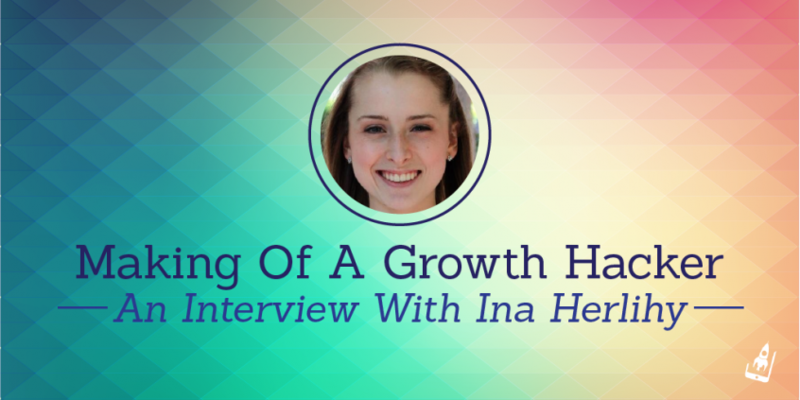 In this interview, she shares her insights on growth hacking as a career choice and what has been her overall learning as one. Previously, Ina was also listed in the list of female growth hackers, curated by us. At the end of this article, she also shares her go to stack of books and other interesting links. What has been your biggest lesson as a growth marketer? When I first started focusing on growth marketing, I tried to read everything about growth marketing online and ask growth marketers questions in person. Eventually, my questions turned into research experiments, and I blogged about my findings from How to Optimize Referral Programs to 8 Steps to Optimize Emails . My big takeaway has been learning by doing. I learned so much more during those hours spent writing those posts, versus other hours spent passively reading blogs online. Now since I’ve joined the growth team at Zumper, I’m always trying to analyze competitors and startups in other verticals to help brainstorm innovative ideas. Being a growth hacker, has it changed the way you look at products and services today? I’m always comparing how different startups approach growth. For example, whenever an app has a pop up message to review the app, I automatically take a screenshot. Also, when I notice a website redesign, I analyze why the change was made from an SEO perspective of adding new keywords to a product perspective with UX changes. Amongst the many qualities that define a growth hacker, what according to you are the three most important? Analytical — You need to be comfortable with numbers for tracking metrics and SEO positions, analyzing trends, setting paid ad bids, and calculating ROI — just to name a few examples. Patience — It takes months to see the effects of SEO. Team player — Growth is best achieved with a team. At Zumper, a different person focuses on growth engineering, paid advertising, press, SEO, and community. Venturebeat recently published a great article, Growth hacking has two phases — and using the wrong one will sink you, analyzing the two different types of growth marketers: the early-stage prospector like Sean Ellis and the post product-market fit miner like Andy Johns. We’ll love a run down on the best links, tool, books and people (to watch out) that you feel rule the growth hacking world! We bet that this interview helped you in understanding the basic nuances of this evolving segment, along with setting a path for hiring a quality candidate for your buzzing start-up. If you have any specific questions for Ina, do drop them in the comments below. Though she runs a hectic schedule, we will nudge her on your behalf!. We are also eager to know how do you approach hiring growth hackers at your startup. We bet it will be a great discussion to have with you all! Great Post About TheHire a Hacker Online.